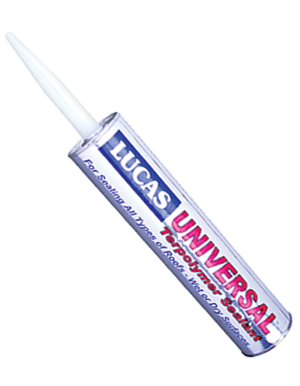 A high-performance, multipurpose thermoplastic elastomer based sealant. Excellent adhesion to most surfaces including: metal, Kynar® , asphalt, shingles, modified bitumen, EPDM, TPO, Elvaloy/ PVC, Hypalon, vinyl, fiber cement, wood, concrete, tile, masonry, and glass. Available in clear, black, white and various colors. Available in three grades: Standard Grade, Self-Leveling Grade and Winter Grade. Ideal for residential roofing applications where appearance is important.